Natalie Rizzo, MS, RD, and author of "The No-Brainer Nutrition Guide For Every Runner," told INSIDER that these components "help you stay full and avoid late-night snacking." "The ideal plate is one-half vegetables, a quarter protein, and a quarter starches, such as grains or starchy vegetables," said Rizzo. "I know mac and cheese can be a family favorite," said Riner. "[But] instead of having a one-pot meal, perhaps mac and cheese can be a side dish to chicken or salmon with broccoli. Cut up a few apples and serve milk as a drink, and you have a balanced meal the entire family can enjoy." Depriving yourself can lead to overeating, late-night snacking, and mindless eating and it's for this reason that Riner encourages people to indulge in "fun" foods every once in a while. "In order to avoid late-night snacking and cravings, it is important to include some fun foods (or what one may perceive as off limits) every once in a while," said Riner. "Meaning, if we always order the healthiest thing on the menu but come home and graze on chips, perhaps we really wanted the burger and should have just enjoyed it in the first place." 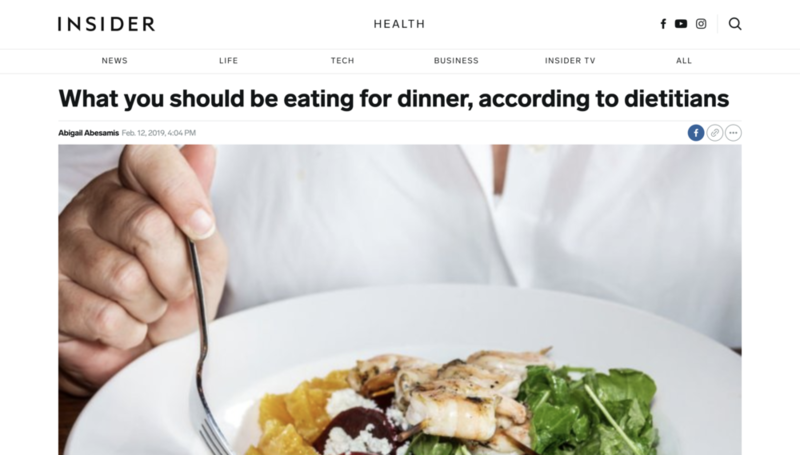 "Having a balanced meal like [this] one will reduce cravings because you're giving your body what it needs — a healthy balance of carbohydrates, fats, and protein," said Price.